The time of one's passing is among those so bittersweet. The challenges of life have ended for a loved one, yet those who remain must reconcile both grief and fond memories. Elements provides detailed memorial design consultations at no charge to bereaved families. 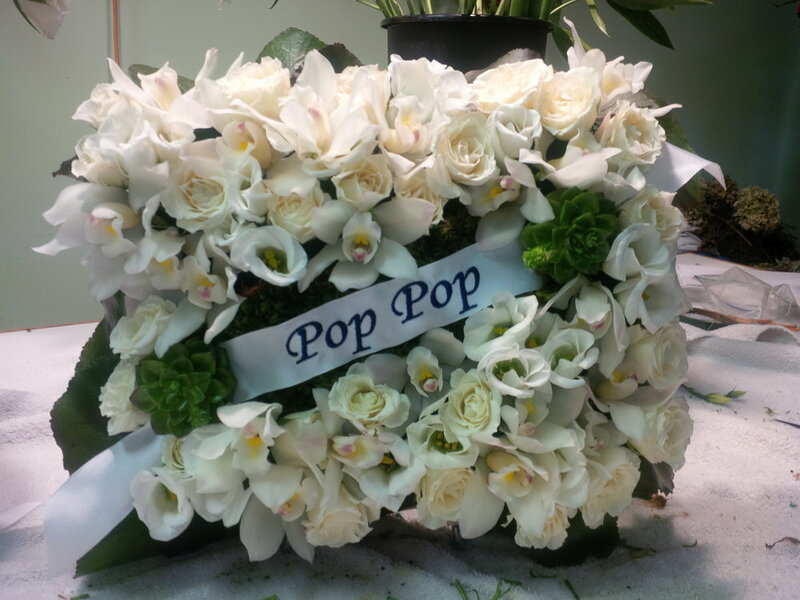 We are available to manage the overall memorial design and handle all incoming orders to ensure that the wake, funeral and receptiontruly reflect the style and personality of the loved one you've lost. Contact us at 860-235-2722 to schedule your consultation. A burial casket provides the most intimate opportunity to drape your loved one in flowers which commemorate and celebrate their life. Elements works with the family to create a gloriously personal covering for their final resting place. Whether a tiny chapel or a grand cathedral, friends and loved ones want to share in the moment with a gift of flowers. 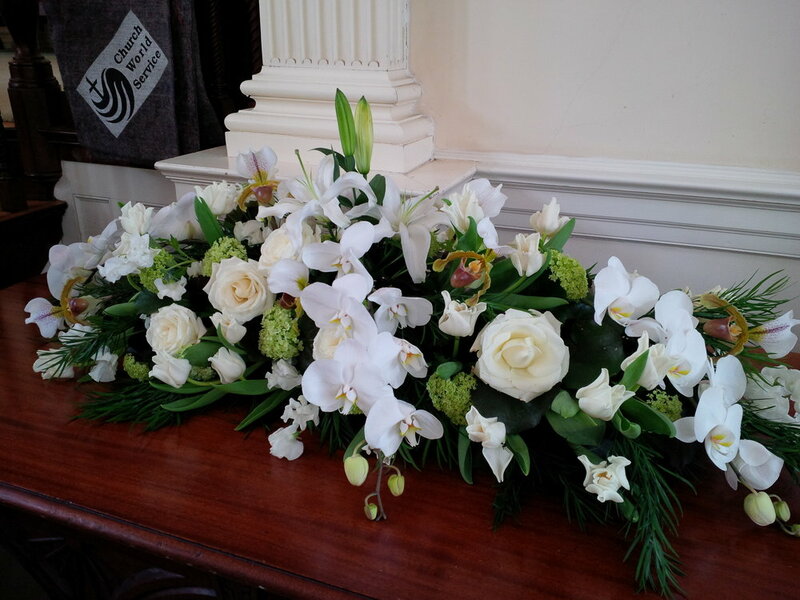 Elements' designers work with each client to create and send a floral message of sympathy, peace and celebration to the bereaved. We refuse to skimp on details. Our custom embroidered ribbons, specially sized designs for unique placement, sometimes even within a casket and other customization techniques make the day of remembrance truly a unique for each family.